Your daughter will look and feel great at the pool in the Dolfin Uglies Tropicana Swimsuit, it comes in a unique and colourful print which she will love! The Tropicana Swimsuit is made from a chlorine resistant Lycra fabric to offer excellent colour and shape retention properties, allowing your daughters swimming costume to look like brand new for longer! This Dolfin Swimsuit is part of the Uglies training swimsuit range, Uglies swimsuits are popular among swimmers because of their fashionable cuts and designs. 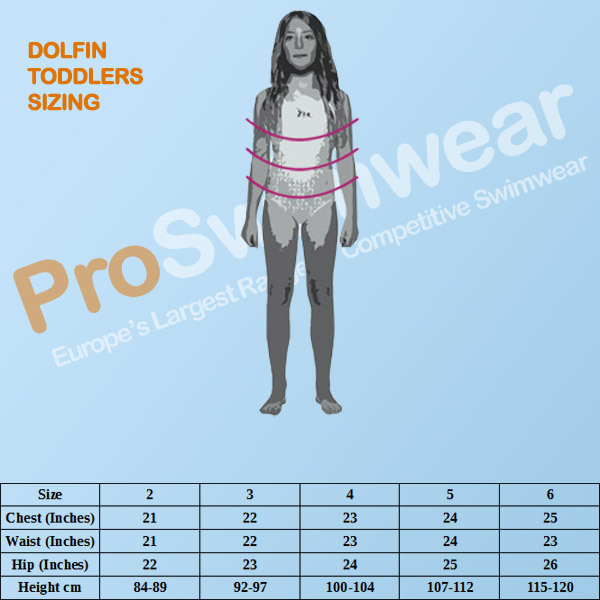 This makes the Dolfin Uglies range perfect for fashion conscious young swimmers! The Girls Dolfin Tropicana swimming costume comes with a unique and eye-catching tropical print, that young swimmers will love taking to the pool. It is made with a chlorine resistance material which provides high quality colour and shape retention properties making it ideal for swim training, and leisure swimmers! The Tropicana is part of the Dolfin Uglies range of swimsuits popular among swimmers due to their fashionable cuts, colourful prints and excellent lifespan. Dolfin Uglies have been America’s number 1 training suit for over a decade, and are quickly becoming the training suit of choice for a lot of swimmers worldwide. Remember to rinse your Dolfin swimwear in fresh cold water and follow the care instructions to get the most use out of your Uglies swimming costume. Girls Tropicana swimsuit from the fashionable Dolfin Uglies collection. Featuring signature candy stripe shoulder straps that provide a secure and comfortable fit with full freedom of movement for all swim strokes. Durable swimsuit fabric makes this swimming costume perfect for regular swim training. Subtly elasticated at the bottom to prevent the swimsuit from riding up. Colourful inside lining for comfort and confidence. Medium leg cut for maximum freedom of movement.